Sign up for Broadjam today to follow Royal Station, and be notified when they upload new stuff or update their news! 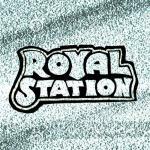 Royal Station is a sonic collage of blues, gospel, psychobilly warped into a psychedelic/industrial spooky dream-scape made up of synth, guitar, drums, bass and strong dramatic vocals. "Psychonova".